The First World War, ‘Great War’ or ‘War to end all wars’, was the largest conflict on the planet until the Second World War twenty years’ later. It lasted a little over four years and killed in the region of 16.5 million people, almost half of them civilians. That works out to around 10,770 deaths each day. Millions more were permanently injured or otherwise affected by it for the rest of their lives. When it was all over, the world was a very different place. If you don’t already know how this awful conflict started and why on earth Britain got involved, here is an explanation. Volumes have been written about the complex and subtle international relationships, rivalries and alliances that helped set the stage for war in 1914. The, predominantly European, world of the time was a simmering cauldron of aspirations, resentments and fears, heavily spiced with unprecedented technological and social change, which could boil over if someone in the kitchen got too upset. Much is made of the arms race between Britain and Germany in the years leading up to the war. Germany was determined to rival the Royal Navy, which was the largest navy in the world. Both countries built more ships – with considerable popular support. It has been argued that German militarism was seen as an increasing threat to the Empire. “We’ll have to shape up to these Germans sometime”, people allegedly said. The popular villains in British novels at the time were often dastardly cunning German spies – or, at the very least, shady central European revolutionaries with beards. Tension was in the air. Then there is the personality of the German Emperor, Kaiser Wilhelm II who, it is said, was insanely jealous of his British cousins, their Empire and Navy, and wanted his share of world action. That Wilhelm was slightly peculiar and had a disturbed childhood is probably true – though this would not in itself have caused war. In fact, all of the European nations, to one extent or another, had issues with one another. Anglo-German naval and commercial rivalry; Austro-Russian differences over the Balkans; Russian-German belief in the inevitability of a struggle between Teuton and Slav; Franco-German animosity; almost everyone’s concern and shared interests in the ailing Ottoman-Turkish Empire. There is a view that war would break out somewhere; it was just a question of who would fight whom, and when. Britain and France had a serious falling-out at a place called Fashoda on the Nile in 1898. And, despite Germany’s obvious militarism, the arms race with Britain and the reciprocal feeling that a reckoning was not far away, there was considerable mutual admiration as well. History is rarely black and white. Europeans were also closely tied through culture, trade, manufacturing interdependence – and virtually every head of state was related to one another by marriage. So many fingers point at Germany – thrusting, socially advanced and economically strong, it was also a relatively new country, forged into unity from 30-odd disparate states just a generation earlier. The architect of this was the remarkable Count Otto von Bismarck, Chancellor of Prussia, one of the larger kingdoms. 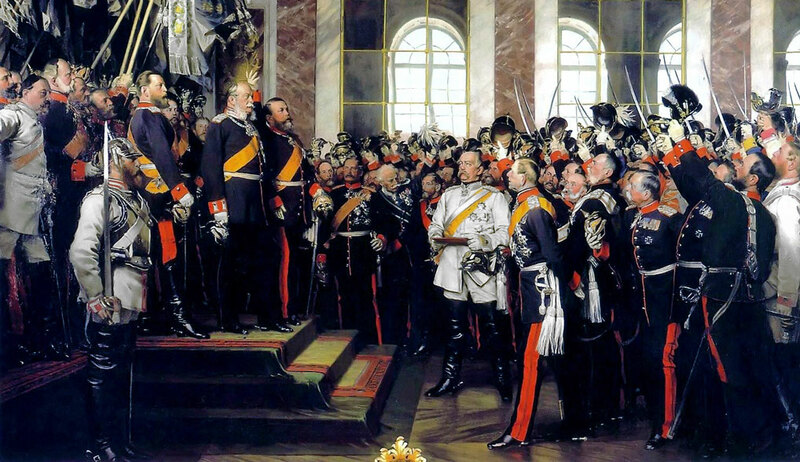 Bismarck’s goal of creating a Germany under Prussian supremacy was achieved through warfare – with Denmark (1864), Austria (1866) and France (1870). The Franco-Prussian War was a particularly degrading defeat for France and included the annexation of the predominantly German-speaking parts of two disputed provinces, Alsace and Lorraine (famous, respectively, for large dogs and egg tarts) to the new German state. Bismarck was pragmatic as well as extremely smart: having achieved his objective – a unified Germany – he simply wanted to protect it. French humiliation and resentment, coupled with ancient rivalries, would always pose a threat. Bismarck was also concerned that Germany’s geographical position in the middle of Europe put it at risk of a war on two fronts. The recently defeated, but culturally close, rambling Austro-Hungarian Empire could be a useful ally – and better that than a potential foe. So in 1879 an alliance was signed, with a basic mutual undertaking of aid in the event of attack by another country. Italy, herself recently unified, joined in 1882 – making it the ‘Triple Alliance’. Seeking to isolate France, and also avoid the prospect of the nightmare of a war on two fronts, Bismarck concluded a ‘Reassurance Treaty’ with Russia in 1887. This was not a formal alliance; it was more an understanding to keep on friendly terms. Unfortunately, Kaiser Wilhelm II dismissed Bismarck in 1890 and allowed the Reinsurance Treaty to lapse. France signed an alliance with Tsarist Russia – as Bismarck had feared – in 1894. The arch republic siding with the absolute autocracy may have seemed unlikely, but France and Russia had been growing closer – there was considerable French capital and cultural investment in Russia. This ‘Dual Alliance’ clearly stipulated that if either party was attacked by any member of the Triple Alliance, its ally would attack the aggressor. From that point on, German fears of encirclement increased, and influenced military thinking. Apart from an alliance with Portugal (since the 14th century), Britain largely stood aside in ‘splendid isolation’ from events in Europe. The British Government was primarily interested in threats to the Empire – particularly India and the routes to it. It was felt vital that the balance of power in Europe should be maintained, but Britain saw itself as a global player, not a European one. “Fog in Channel – Europe cut off!” ran the famous, but possibly apocryphal, headline. Nor was Britain, crucially, particularly a military power; it had a relatively small, professional, army but predominantly relied on its naval supremacy to police its interests. The British Army was initially out-smarted and often out-fought during the Boer War in South Africa (1899-1902). Only after adopting a ruthless approach, which included burning farms and herding Boer women and children into concentration camps in which 26,000 people – mostly children – died, did the British military prevail. It was never a universally popular war, but the outrage expressed by France, Germany, Austria and the USA when news of the South African camps filtered out drove the point home that Britain was not unconditionally loved outside its own borders. And, with Germany flexing her muscles, maybe isolationism wasn’t such a great idea. In 1902, Britain concluded an alliance with Japan. Then with the help of Francophile King Edward VII, Britain found a European chum. Following a state visit to Paris, a city Edward had often played in, Britain and France concluded the ‘Entente Cordiale’ in 1904. This was not a formal alliance between the old enemies, but more a recognition of respective spheres of influence in the world, and an understanding that the two nations would cooperate more in the future. In 1907, it was enlarged to include Russia – and became the ‘Triple Entente’. Thus a further ingredient was added to the two massive power blocs created by the major continental powers a decade or so earlier. In the middle of the European stage, from the Baltic to the Mediterranean, sat the Triple Alliance of Germany, Austro-Hungary and Italy: straddling them was the Triple Entente – Russia to the east, coupled with France and Britain in the west. Assassination in Sarajevo – “The shot that rang round the world”. Europe was a simmering cauldron of unparalleled socio-economic change, where international relationships are both interdependent and competitive, spiced with a liberal sprinkling of nationalism – including on the part of restless minorities. This all may sound familiar, but it does not of necessity lead to war. Nor does murder; it is a popular myth that the assassination of Archduke Franz Ferdinand in Sarajevo on 28 June 1914, heir to the Austro-Hungarian throne, caused the First World War. 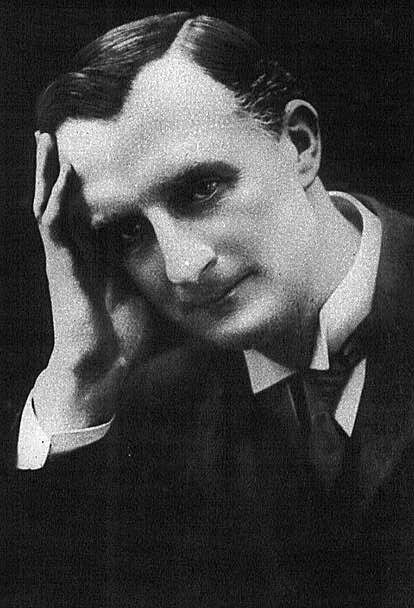 There is no evidence to suggest the killing was sponsored by any of the Great Powers, none of which had anything to gain by FF’s death; and even if one of them had been behind the act, it did not have to result in a general war. But the path leading to this most almighty conflagration does pass through the Bosnian capital on that fatal warm June day. The Archduke was on an official visit to Sarajevo and no fewer than 7 Serbian nationalist assassins were also in town, waiting to take him out. A bombing was botched and the grand finale was actually something of a tragic farce, when the royal car took a wrong turn, had to be pushed backwards because it lacked reverse gear and drew up next to where one of the terrorists, Gavrilo Princip, happened to be standing with a loaded revolver. Princip fired just two shots; the first to die was Franz Ferdinand’s beloved wife, Sophie. There was nothing new about terrorism in the Balkans – and Serbia, in particular, is often characterised as something of a rogue state. In 1903, a group of Serbian army officers had horribly butchered their own king and queen. One of the leaders of that crime was an unlovable nationalist fanatic known as ‘Apis’, who by 1914 was head of Serbian military intelligence and leader of a terrorist group with the melodramatic name of ‘the Black Hand’. 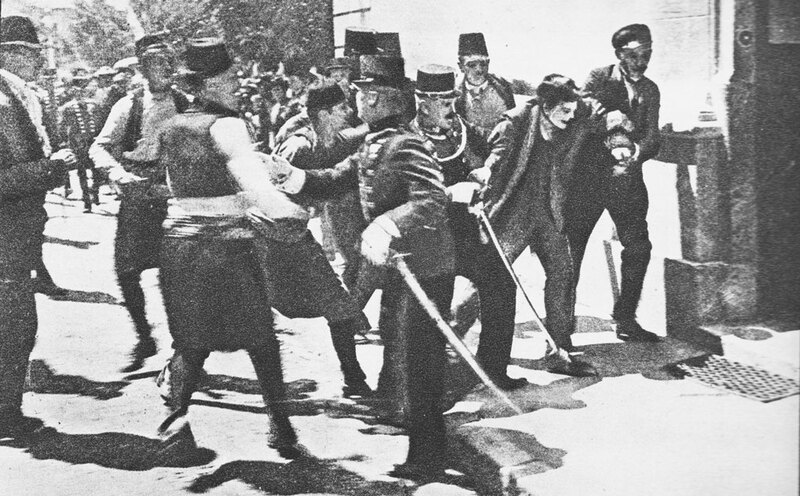 Many believe that Apis was behind the plot to kill Franz Ferdinand, but there is no proof that the Serbian government promoted it. Along with Greece, Bulgaria and Romania, Serbia was a nation that emerged in the 19th century from the shrinking Ottoman (Turkish) Empire. After the Balkan Wars of 1912-13, Serbia’s military success saw its territory double – but it was land-locked, desperate for its own sea port, ambitious, proud – and potential champion of Serb (and other Slav) minorities living inside its much larger neighbour, the rambling Austro-Hungarian Empire. Ruled since 1848 by its now ailing Emperor Franz Joseph, the Austro-Hungarian Empire meandered across central Europe, from the Tyrol in the west to Transylvania in the east, and encompassed at least 11 races, including what we would know as Austrians, Serbs, Magyars, Slovenes, Czechs, Croats, Poles, Italians and Ukrainians. It was in many respects a backward land, where minorities were both alienated and repressed. In 1908, it annexed the previously Turkish provinces of Bosnia and Herzegovina, which Serbia coveted and which included a large Serb population. Though reluctantly accepted by Serbia at the time, resentment festered; many in Serbia became increasingly and – violently – anti-Austrian. Ironically, Franz Ferdinand would have gone out of his way to avoid war. Throughout Europe, actually, reaction to his passing was generally muted, even in Austria. However, the Austrian government was quick to blame Serbia for the murder, seeing an opportunity to sort out their bothersome neighbour by military action. The concern was what Russia’s, response would be. Russia commanded the largest army in Europe (1.42 million men), saw itself as defender of Slavs and also backed Serbia militarily. For Austria, the key was first to obtain backing from her ally, Germany. By 4 July, the Kaiser had promised Germany’s unconditional support – what history has come to call, ‘the blank cheque.’ This made a general war almost inevitable. If Austria was attacked by Russia, Germany would be bound under the terms of their alliance to come to her aid. If Germany attacked Russia, France was bound to come to her ally’s aid. After much faffing about, Austria issued Serbia with an ultimatum on 23 July, demanding a response by 5pm on 25th. The terms of the ultimatum were designed to humiliate (on the other hand, big states routinely bullied smaller ones). In any event, expecting defiance, the Austrians prepared for war. Remarkably, the Serbian reply, submitted just before the deadline, accepted all of the terms of the ultimatum, except the demand that Austrian police should investigate the murder on Serbian soil, which Serbia requested be referred to the International Tribunal at the Hague. Earlier that afternoon, Serbia mobilised its army as a precaution. On 28 July, Austria Hungary declared war on Serbia and, the following day, the first shells fell on Belgrade. Given all the rivalries, alliances, posturing and undercurrents, it sometimes seems as though there was something horribly inevitable about the First World War. Yet war was brought about as a consequence of premeditated decisions made by rational men. The devil, as always, is in the detail, but the first critical decision following the murder of the heir to the throne of Austria Hungary in Sarajevo was an Austrian one: to militarily humiliate Serbia. The second crucial decision was a German one; by giving Austria unconditional support, Germany provided Austrian hawks with the confidence to be as belligerent as they liked, irrespective of what anyone – especially the Russians – might do. The Dual Alliance between Russia and France meant that Germany faced the risk of a war on two fronts. All of the powers had war plans; Germany’s was called the von Schlieffen Plan, named for the Chief of the German General Staff who developed it. Von Schlieffen’s solution to the problem of potentially fighting two powerful foes simultaneously was to aggressively neutralise the weaker one first. Russia, he reasoned, with her vast population and huge size, would be slower to mobilise but more difficult to defeat than France. He calculated that French forces would be concentrated along the shared border, particularly around the ‘lost’ provinces of Alsace/Lorraine, taken by Germany in the war of 1870-71. So Von Schlieffen proposed to attack along an easier route, into northern France via neutral Belgium, capturing Paris and defeating France within 6 weeks. German forces could then be concentrated on Russia. Some may have genuinely believed that an Austro-Serbian war was justified, and could be localised. Other experienced voices predicted that, if Russia supported Serbia against Austrian aggression and Germany, in turn, supported Austria, this would almost certainly bring France into the conflict as Russia’s ally – thus a dreadful general European war would ensue. And there were some who undoubtedly did little to discourage that awful prospect, seeing it as an opportunity to settle scores. It must be said, too, that the prospect of war was generally popular with many; when it was declared, there were scenes of outright jubilation in London, Paris, Berlin, St Petersburg and Vienna. It is breathtaking how quickly the European crisis escalated in late July 1914. Everyone began mobilising for war. All potential participants had war plans. Once started, these were difficult to stop. Military leaders were frantic to keep ahead of their likely enemies’ preparations. All over Europe men were being recalled to their regiments and placed on alert. Appeals for reasonableness and proposals for diplomatic negotiations were ignored or rejected. One question that no one knew the answer to was how Britain would react to the unfolding catastrophe. That summer, the British Cabinet was more concerned about the likelihood of civil war in Ireland than it was about the possibility of a European conflict. On 23 July, the same day that Austria issued its outrageous ultimatum to Serbia, Chancellor of the Exchequer, David Lloyd George, told the House of Commons that relations with Germany were better than they had been for some years. On 24 July, Russia partially mobilised, secretly. The next day, the first German warship steamed through the newly widened Kiel Canal – the Kaiser’s shortcut into the North Sea, and thereby into the English Channel. That afternoon, Serbia mobilised – but also submitted its conciliatory response to Austria’s demands. On 27 July, Russia’s Tsar Nicholas II proposed negotiations, which Austria Hungary did not want. Britain proposed an international conference, an idea rejected by Germany. On 28 July, Austria Hungary declared war on Serbia and the British Ambassador in Vienna warned London that the Austrians were “wild with joy at the prospect.” The following day, the bombardment of Belgrade began, the German fleet mobilised and the British fleet was dispatched to its battle stations. 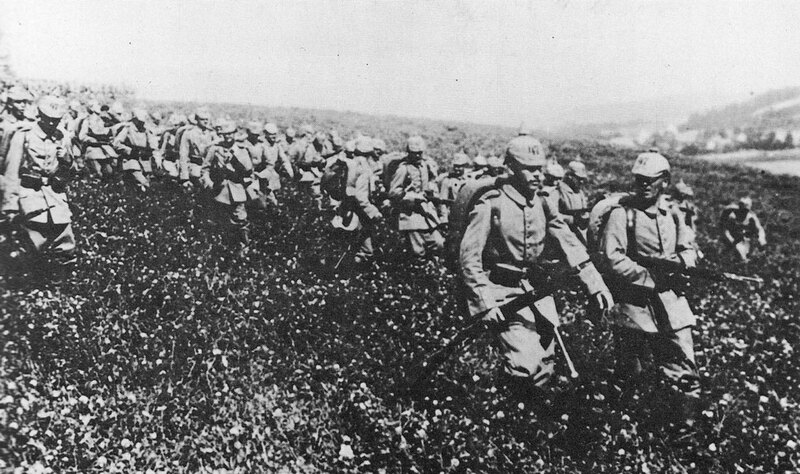 Russian troops set off to pre-arranged stations along the border with Austria Hungary. Germany partially mobilised in response. The Tsar appealed personally to his cousin the Kaiser (they were both grandsons of Queen Victoria) to, “do what you can to stop your allies from going too far.” On 30 July, Nicholas signed the order for total mobilisation. On 31 July, Belgium and Turkey mobilised. At 5pm on 1 August, Kaiser Wilhelm ordered full mobilisation and, that same evening, declared war on Russia. That night, German troops entered Luxembourg. The French government ordered general mobilisation. The next day, German patrols crossed into France and Germany demanded free passage through Belgian territory for its armies. On 3 August, the British government ordered general mobilisation, Germany declared war on France and some of her soldiers entered Russian Poland. On Tuesday 4 August, Germany invaded neutral Belgium. Britain issued an ultimatum, demanding the withdrawal of German forces from Belgium. The ultimatum expired at 11pm British time, midnight in Berlin; but there was no reply. Following the expiry of Britain’s ultimatum, telegrams stating, “Commence hostilities against Germany at once” arrived at British military establishments and Royal Navy ships all over the world. And so Britain went to war. So why did Britain get involved? Britain’s declaration of war was technically in response to the violation of Belgian neutrality, guaranteed under the Treaty of London (1839) by Britain and Germany’s predecessor, Prussia. Until the very last moment, many thought that Britain would not fight. It has been suggested that British indecision encouraged German aggression – though, notwithstanding the global power of the Royal Navy, there were also contemptuous voices in Germany regarding Britain’s tiny volunteer army. Military conversations had been held between France and Britain, and Britain had undertaken to protect the coast of northern France with the Royal Navy. But though Britain was predisposed to support France, there was no legal obligation to do so. However, no British government could afford to stand aside and allow an aggressive militaristic power to wage war on Britain’s doorstep, or to potentially dominate Europe. If France, a friend, was defeated, how would British interests be served by having the German Navy stationed along the Channel coast?